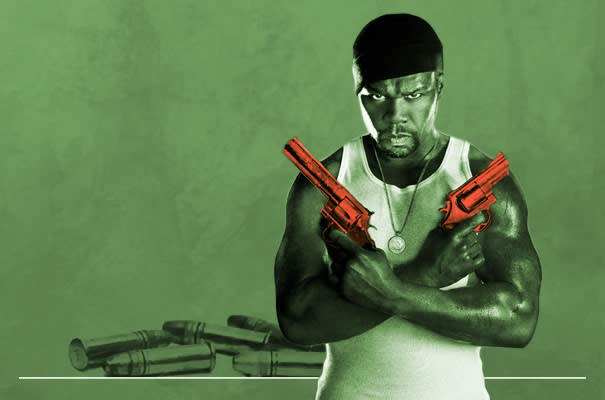 Most of you probably didn't notice that earlier this month a movie starring and written by 50 Cent, Gun, was released straight to DVD. In the past 20-plus years gun culture and hip-hop have been pretty much joined at the hip. Mostly because rappers just love exercising their second amendment rights on wax and letting the world know they got seven Mack 11s and eight .38s. Guns are so common in hip-hop that they’re often just mentioned in passing. But for the chosen few, making a reference to a gun isn’t enough. Some rappers dedicate entire songs to firearms, in more creative ways than you’d expect. Some choose to explain the social significance of guns in the ghetto, while others make love to their gun, while the rest just love busting shots. That’s why we went through our arsenal and put together 21 Gun Salute: 21 Hip-Hop Songs Dedicated To Guns to see just who has got the most guns. Because it ain’t where you’re from, it’s where’s your gat. As always, #noshots.